Roasted garlic is AMAZING. We spread it on bread. You can also add it to mashed potatoes. We roast lots of bulb at once, then keep the extras in the fridge for easy snacks. 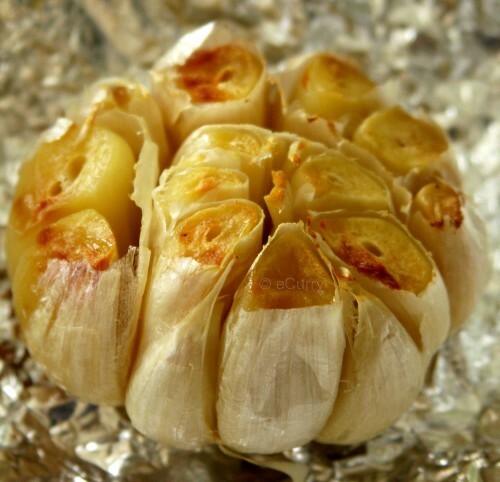 Cut the top and bottom off of your garlic bulbs (fresh or cured). Place the garlic bulbs into a baking dish. Drizzle olive oil over the bulbs, then season with salt and pepper or whatever you think is tasty. Cover the dish and bake for 45-60 minutes at 350-degrees, until the cloves are soft like butter. Serve with good-quality bread and a spreading knife. Butter is optional.